There is an inevitable need to bring in the diversity of thought not just to face challenges but also to stay ahead in the globalized pharmaceutical market without digging a hole in the enterprise budget on R&D. When the shift in the market is much faster than the progress happening inside the enterprises, it is important for companies to stay updated by making use of intellectual property and open innovation services. Researchers can help you reduce in-house R&D efforts by taking the load off you to engage in time-consuming, exhaustive R&D processes. Service providers can help you keep your Intellectual Property safe while also encouraging open innovation to beat the competition. 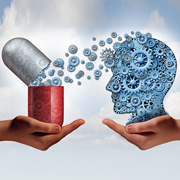 At Outsource2india, our skilled team consists of data scientists, subject matter experts, legal analysts, and industry specialists who provide a complete spectrum of intellectual property and open innovation services to help pharmaceutical companies address less- or under-researched areas. Our comprehensive research services, economic pricing, and ISO-certified data security processes make us an ideal service partner. Why Choose Us for Intellectual Property and Open innovation Services? Outsource2india has been a leading provider of intellectual property and open innovation services in India and a series of other pharmaceutical research services. With the pharmaceutical industry being highly competitive, there is a demand for quick, data-driven decisions and Outsource2india provides specialized intellectual property and open innovation to meet your pharmaceutical research needs. Our team comprises of some of the most skilled and talented researchers who can cater to any of your needs. We provide our services within a quick turnaround time, thanks to our multiple delivery centers spread across the globe. Today, we have a growing list of clients who avail our wide spectrum of research services. If you are looking for a reliable intellectual property and open innovation service provider, then look no further. Get in touch with us today!